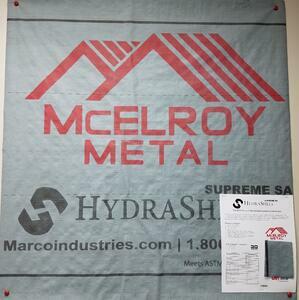 Bossier City, La., October 9, 2018 — HydraShell MAX and Hydrahell Supreme SA are McElroy Metal’s new underlayments. 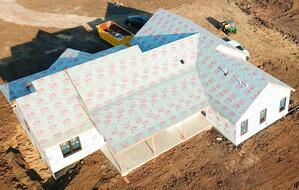 HydraShell MAX is the standard synthetic underlayment and HydraShell Supreme SA is a peel-and-stick underlayment. HydraShell MAX has a four-layer construction and can be used under all types of finished roofing materials, including steel roofing and is suitable for roof pitches as low as ½:12. HydraShell MAX requires significantly fewer fasteners than competitive products and provides a durable deck cover. HydraShell Supreme SA is the best choice in high-temperature, self-adhering applications. The SBS modified asphalt provides excellent pliability and the cool gray surface reduces heat build-up.